I'm guilty of having way too many sunglasses even though I usually reach for a few go-to pairs. There's just something magical about putting on the right shades with the right outfit on the perfect summer day. Besides being stylish, sunglasses protect your eyes and help prevent those dreaded fine lines you get from squinting (yes, sunglasses prevent wrinkles! ), but I refuse to pay hundreds of dollars for them for three reasons: 1) I like variety, 2) I don't have endless amounts of cash and 3) there are far too many ways to lose/break/damage/destroy sunglasses. I'm sure many of you feel the same! 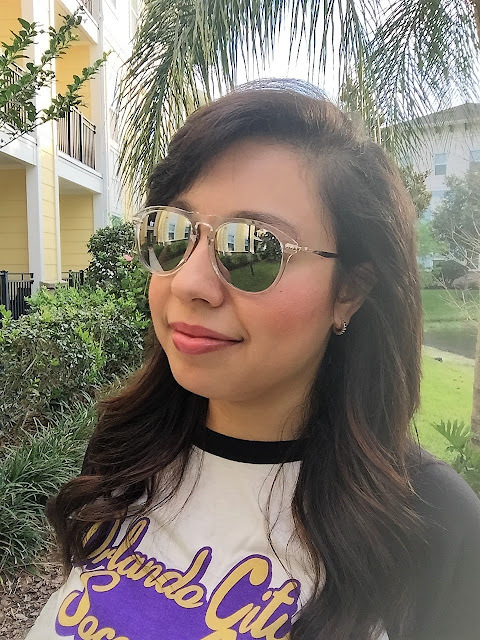 Sunglass Warehouse is one of the best places to shop for shades online because they have tons of on-trend styles at really affordable prices. 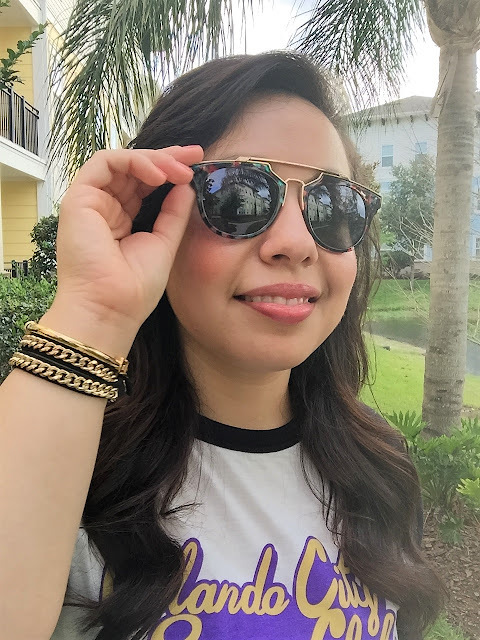 That's why I partnered with them to break down the best sunglasses for watching sports this summer (plus, scroll down for a special giveaway)! Soccer, baseball, horse racing, golf, tennis, you name it — there's so much to enjoy outdoors, so make sure you've got the right shades for the occasion. Clear frames are trending in eye wear and it's easy to see why — they go with everything and appear seamless against your face. You can wear these with any outfit or team colors, so keep a pair like this handy if you're in a hurry to get out the door. Shop this style. Aviators are so classically cool and look great on all types of face shapes. 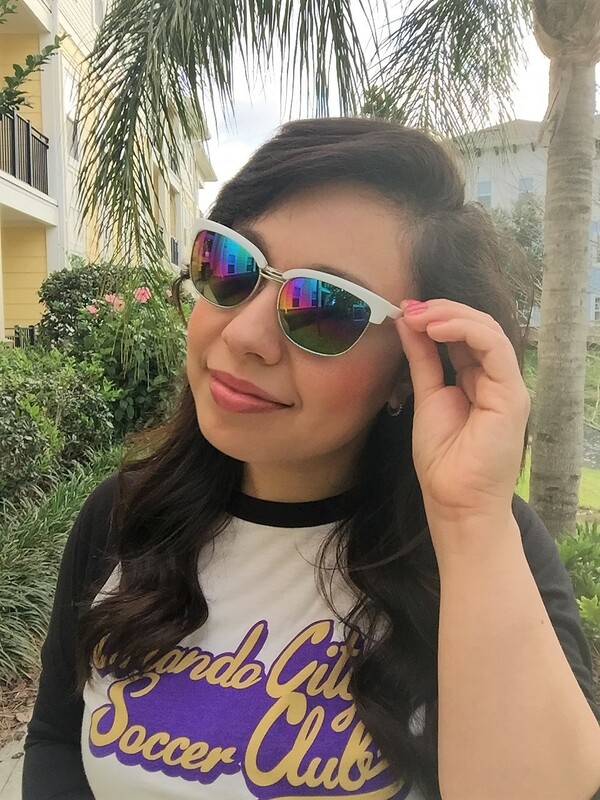 Mirrored colored lenses take them up a notch, so choose your hue (maybe in one of your team's colors) and make a statement. Shop this style. Rainbow lenses are also trending and while I initially thought they might be hard for anyone over 18 to pull off, I changed my mind when I tried on a pair. This white/rainbow combo is fresh and fun, exactly what summer is all about. Shop this style. 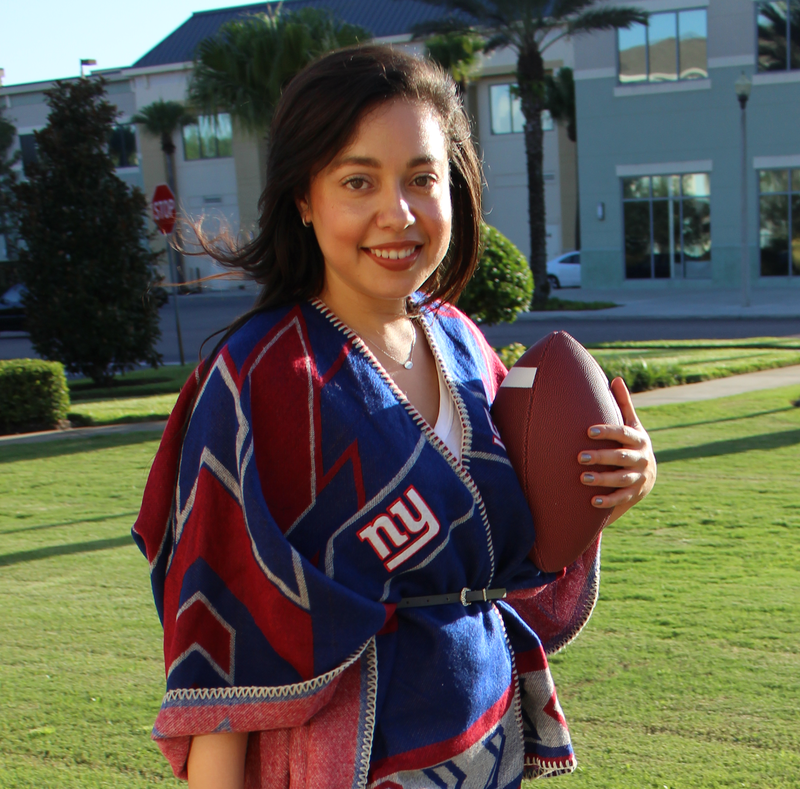 The summer is the perfect time to show off your red, white and blue, but that doesn't necessarily mean you have to cover yourself in American flags. Try styles that incorporate the flag's colors, not necessarily the stars and stripes, for a patriotic twist. Shop this style. Giveaway Alert! Sunglass Warehouse is giving away TWO pairs of sunglasses to one of you fabulous readers. The winner gets to choose the styles (pending availability). Enter to win below and Happy (almost) Summer! Which pair of sunglasses I wore is your favorite? P.S. 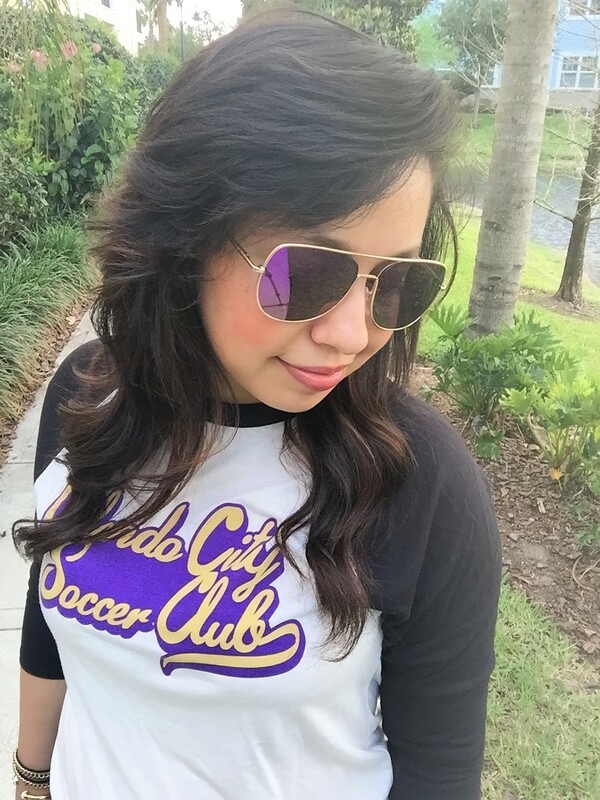 Like my Orlando City SC shirt? Shop it now! *The Style Ref received (4) complimentary pairs of sunglasses from Sunglass Warehouse. All opinions regarding these products are my own. Now I know what style should I buy at EO sunglasses for the upcoming games of my friends. Thanks a lot.